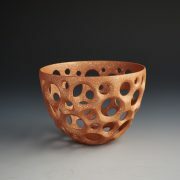 Here is a new small delicately incised red bowl by Russell. 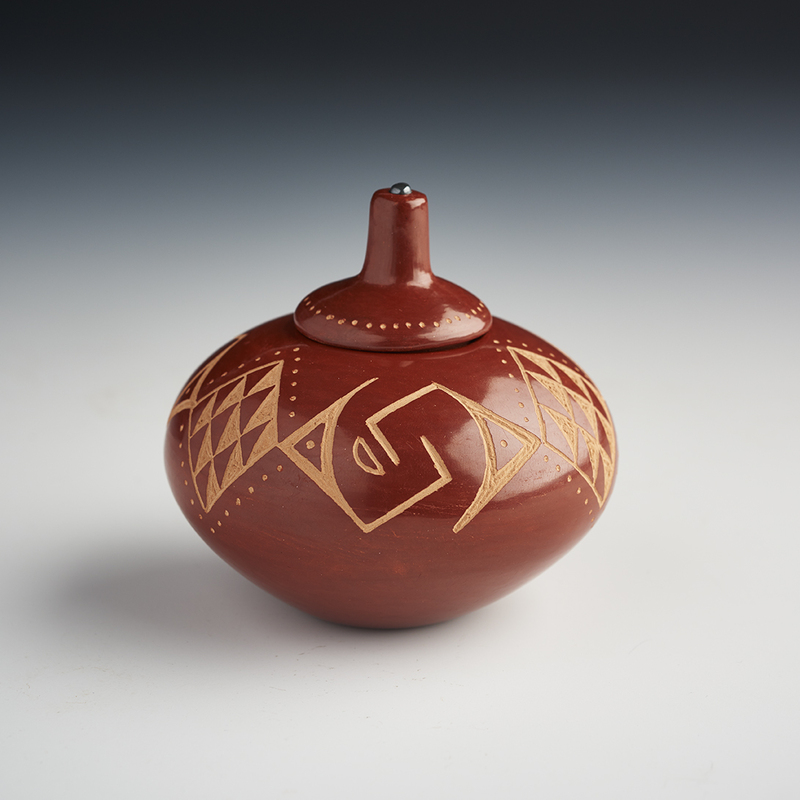 Based on old school San Ildefonso designs that originated with the San Ildefonso potters of the 1920’s, it shows great workmanship on a lovely small shape. 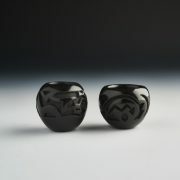 The tight-fitting lid has a tiny hematite stone embedded – just to add a touch of the black tone. 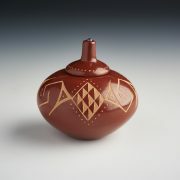 Tiny carved dots on the lid compliment the dots on the body of the bowl.